I feel like this one had good bones but needed some polishing. Aries (age 19) moves across the country for a dream job – only to find himself fired, alone and quickly running out of options. One dark and mysterious night, Aries finds himself at the mercy of apsychotic stranger and just when things look hopeless, fate steps in. 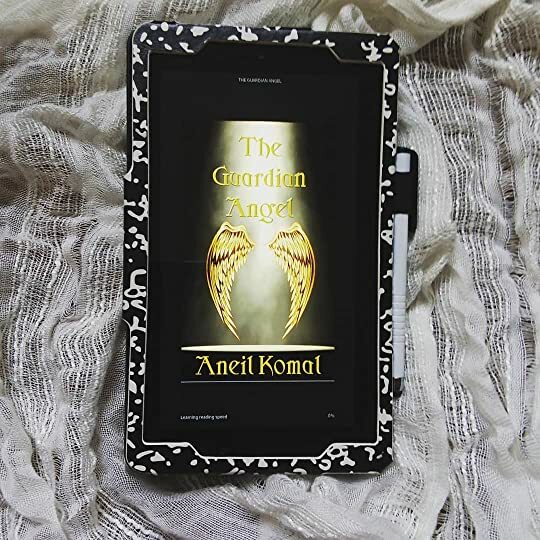 Aries quickly learns that he is the reincarnation of a guardian angel – but will he be able to rise up to his destiny? Or will he perish in the process. I did enjoy the wild and whimsical ideas from Komal in his novel but I strongly feel that too much happened too fast. I would have loved for this book to have a slower pace and thus allowing us more time to get to know the characters and the world before throwing another twist or bit of lore at us. Previous Post Book Blogging, Here I Come!